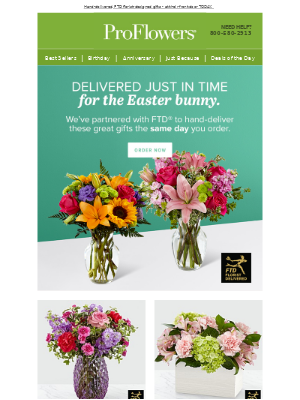 ProFlowers email example: One Week to Easter! 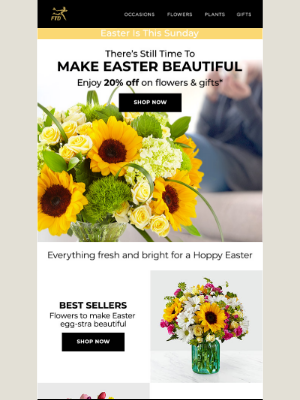 FREE Chocolates and Vase with Your Order! 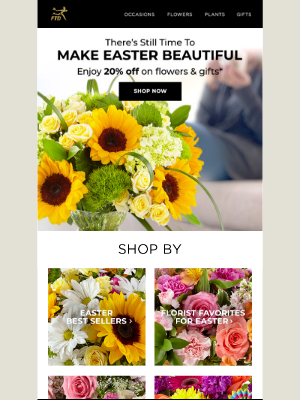 Subject: One Week to Easter! 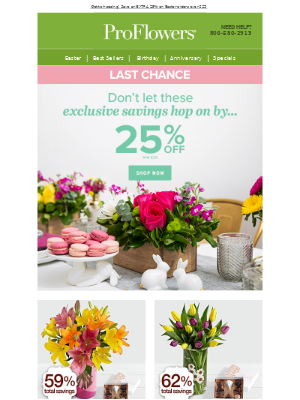 FREE Chocolates and Vase with Your Order!